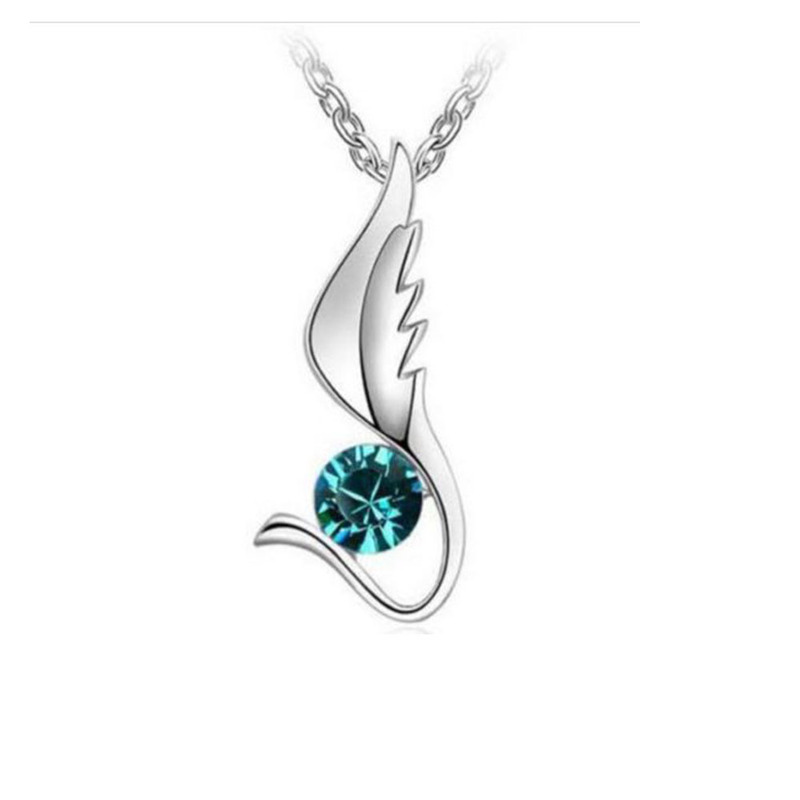 A gorgeous silver phoenix wing pendant necklace with a blue crystal. This crystal style angel phoenix wing necklace looks exceptional and is beautifully detailed with a blue sparkling crystal and an angel phoenix wing. This beautiful crystal angel phoenix wing pendant is supported by a solid, long silver chain and the wings are coated in silver.